Painting, S. Giacomo Scossacavalli in Borgo, Rome. Vasari, 1550, 800, in the “Life” of Rosso: “Lavorò una bozza della decollazione di San Gio. 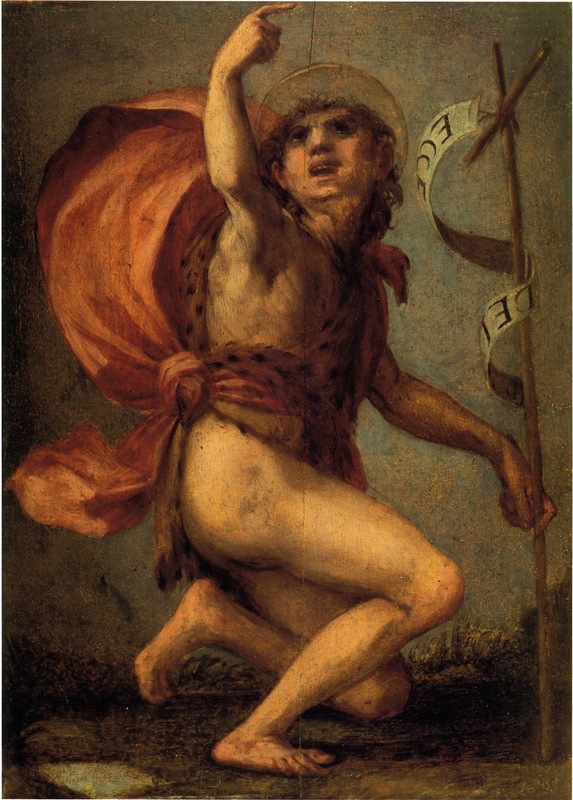 Batista, che oggi è in una chiesuola su la piazza de’ Salviati in Roma.” The same in Vasari, 1568, II, 208 (Vasari-Milanesi, V, 162). The small church mentioned by Vasari must be the now destroyed S. Giacomo Scossacavalli that was in Piazza Scossacavalli, called Piazza de’Salviati in the middle of the sixteenth century (see Andrea, Palladio, Descritione de le chiese … in la Citta de Roma, Rome, 1554, not paginated). This is the only church in this piazza on the maps of Bufalini, 1551 (1560 edition), Cantaro, 1576, and Tempesta, 1593, and its name is given on all of them (see Mariano Armellini, Le chiese di Roma dal secolo IV al XIX, Rome, 1942, II, 958-960, and the comments of C. Cecchelli, 1300). Of an old foundation the church was slowly rebuilt, beginning probably around 1521, on the designs of Antonio da Sangallo the Younger (see Gustavo Giovannoni, Antonio da Sangallo il Giovane, Rome, n.d. , I, 57, 93, 110, 237-238, II, Figs. 186 – 189). It was destroyed when the Via della Conciliazione was laid out in the 1930s. It should, however, be noted that Vasari does not say that Rosso’s painting was executed for this church but merely that it was there in 1550 and 1568. As the church was being rebuilt in the 1520s it is probable that it was not ready for pictures during the time that Rosso was in Rome. Furthermore, given the fact that it was being rebuilt by Antonio da Sangallo the Younger, with whom Rosso had a serious falling out at the time of the Cesi Chapel commission of 1524 (see P.17), it might be thought unlikely that Rosso would have been given the opportunity to do a painting for this church. The subject of Rosso’s painting suggests that it could have been made for a Florentine in Rome. As Rosso’s baptismal name was Giovanni Battista he could have made the picture for himself; his depiction of the decapitation of his namesake might have been especially interesting. What Vasari meant by the word bozza is not clear. It would seem to indicate a small oil sketch of the kind that Polidoro was to make, although no such sketch by Rosso is known. If this is the case then it would have been made as a study for a larger picture. However, it could have been a small picture like the St. John the Baptist in a private collection in Florence (Fig.P.11a), which, however, though freely executed, was probably not made as a preliminary sketch. That painting is of a single figure while the Beheading would have had at least also the executioner, making it likely that it was a study for a bigger painting, unless Rosso made the painting for himself. 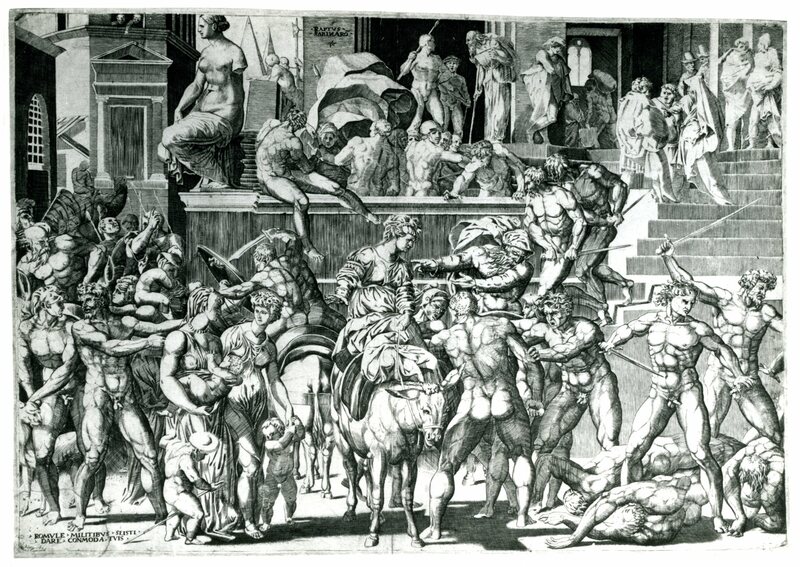 Vasari mentions the Beheading last in his account of Rosso’s career in Rome, and as in all other respects, although he does not list all the Roman prints Rosso designed, his relative chronology of Rosso’s activity in Rome seems to be correct, it is likely that this bozza was done just before the Sack of May 1527. 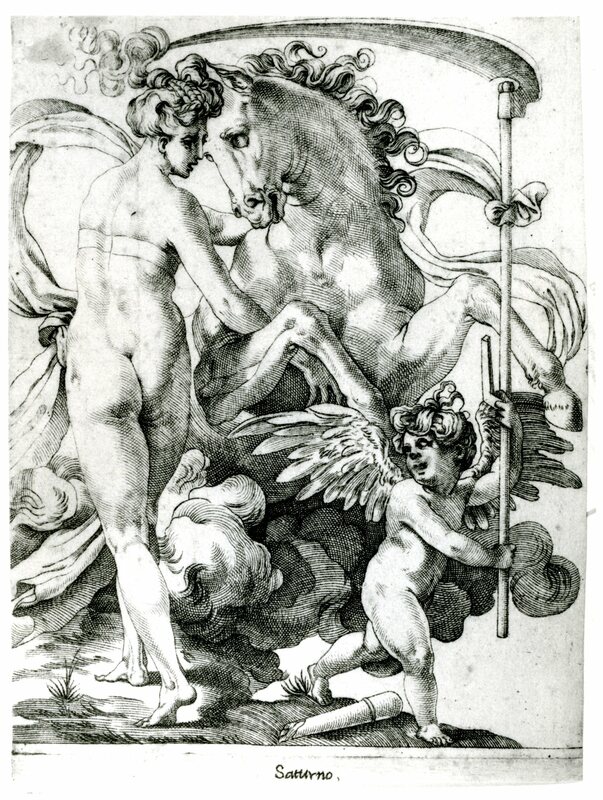 This would make it approximately contemporary with the Saturn and Philyra (Fig.E.47a), the Pluto and Proserpina (Fig.E.46a), and the Battle of the Romans and the Sabines (Fig.E.48, London, III), engraved by Caraglio in the early months of 1527. 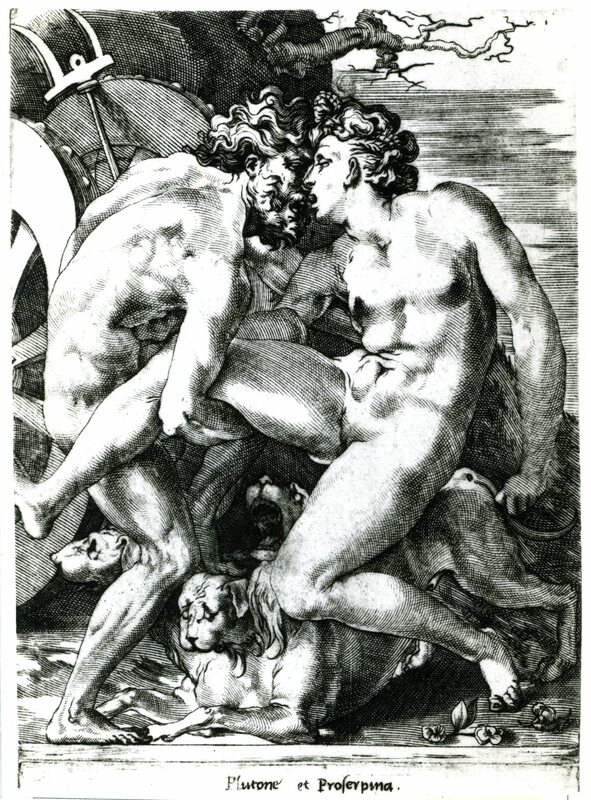 If the Beheading was made as a study, one might assume that the large painting was never executed, or, if begun, never finished because of the Sack, which also caused Caraglio to abandon work on the Battle of the Romans and the Sabines, although it is also possible that other reasons account for its not being executed (Carroll, 1987, 23, 138, under no. 46). Kusenberg, 1931, 29, 141, nos. 40, 41, 189, n. 78, referred to the work as a sketch and thought that two drawings in the Uffizi might be related to it, drawings that certainly have no relation to Rosso. On the possibility that the Profile Head of a Young Woman in the Fogg Museum is a study for the supposed larger painting, see D.20. Franklin, 1994, 155, stated that this connection cannot be verified, which is true, but he failed to note that the drawing is squared as though made to be used for a painting.